Furious at the upcoming changes regarding VAT on sales of digital services to non-business customers in the EU, many small businesses have taken their anger to social media as the surge in messages tagged #VATMOSS or #VATMESS can attest. We mentioned the upcoming changes in a previous article but to recap, from 1st January 2015, if a UK business sells digital services (e.g. apps, music, e-books) to a consumer in the EU (B2C) then that UK business would normally need to register for VAT in the country of the consumer. To avoid having to register for VAT in multiple countries HMRC offer the Mini One Stop Shop (MOSS) where a UK business can declare their EU B2C digital service sales and pay the appropriate VAT to HMRC. MOSS returns are due quarterly to 31 March, 30 June etc and to be submitted, together with payment in the domestic currency, sterling for the UK MOSS, by the 20th of the following month. The problem is that to be able to use MOSS a UK business must be registered for VAT in the UK. This lead to concerns that many unregistered businesses would now have to register in order to use MOSS, and be forced to charge VAT on their UK sales even though those sales are below the UK threshold. HMRC issued guidance this week stating that where a UK business registers in order to use MOSS, but their UK sales are the below the registration threshold, then they will not have to account for VAT on their UK sales. On the online VAT registration form there will now be an option to tell HMRC that the business is registering because they wish to use MOSS. The business will still need to complete UK VAT returns (in addition to the MOSS returns), however where the UK sales are below the threshold when they will enter £nil in the Output VAT and net sales boxes (Boxes 1 and 6). The updated HMRC guidance can be found here. From 1 January 2015, changes will be made to the VAT place of supply of services rules regarding business to consumer (B2C) supplies of digital services to EU based customers. The place of supply is currently where the supplier belongs, however from 1 January 2015 the place of supply will be where the customer belongs. This does not affect business to business supplies, which can be treated as outside the scope when the EU customer provides their EU VAT number. Includes the supply of television or radio programs to a schedule by the person that has editorial control of those programmes. Includes the service of sending or receiving signals by wire, radio, optical or other systems - and includes fixed and mobile telephony, fax and connection to the internet. Includes video on demand, downloaded applications (or ‘apps’), music downloads, gaming, e-books, anti-virus software and on-line auctions. What if my client sells digital services through an online platform such as Google Play or Amazon? If you supply digital services to consumers through an online portal, gateway or marketplace then it is important to determine whether you are making the supply to the customer or to the platform operator. Where the platform operator sets the general terms and conditions, authorises payment or delivery, or does not clearly state the name of the supplier on the receipt or invoice issued to the consumer, then they will be seen as making the B2C supply even if they are contractually only an agent. Therefore you will need to determine the relationship your client has with the platform. If there is any doubt then the client should contact the provider. How do I determine whether the customer is a consumer or a business? If you supply digital services and your EU customer doesn’t provide you with a VAT registration number then HMRC’s advice is that you should treat the supply as B2C. Do I need to keep evidence of my customer’s location? I’m going to be holding information on my customers, is this going to be an issue? If you keep customer records electronically then you will need to register as a data protection controller with the Information Commissioner’s Office (ICO). This currently costs £35 per year. If a client makes B2C supplies of digital services to a customer in the EU then the client must then register in the EU country of the customer. If the client has B2C customers in a number of EU countries then in theory the client must register and account for VAT in each of those countries. To avoid having to do this the client can instead register for the Mini One Stop Shop (MOSS). The VAT MOSS online service allows you to account for EU VAT on all of your B2C supplies of digital services to consumers in EU states. 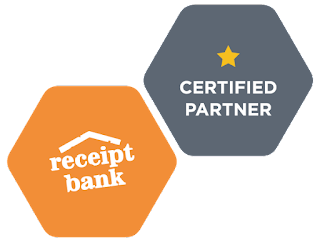 This means that you do not have to register in each state that you supply services to. The MOSS returns have to be made every calendar quarter (31st March, 30th June, 30th September, 31st December), with the submission deadline being the 20th of the month after the quarter end. You must also pay the EU output VAT to HMRC by this deadline. You must be registered for VAT in the UK to be able to use this service, which means that some businesses will now need to register, even if their sales are below the UK threshold. What will the MOSS return look like? This is still a Beta service. HMRC guidance states that they will be publishing an Open Document Format spreadsheet from which you will be able to upload your data into the return. The first returns will be due for the 31st March 2015, due by 20th April 2015. We will update you as soon as HMRC publish further information. What is the deadline for MOSS registration? You must apply for MOSS registration within 10 days of the month following your first cross border digital service sale. E.g. first sale on 5th January 2015. The deadline for registration is 10th February 2015. My total sales are under the VAT registration threshold but I have to register for VAT and use MOSS – does that mean that I now have to charge UK VAT on my UK sales? No. When you apply for UK VAT registration number online you will need to enter digital services as the business activity and then select ‘supplies of digital services (below UK VAT threshold) under MOSS arrangements’. As long as your UK sales are under the UK VAT registration threshold then you will not have to charge VAT on your UK sales. You will still need to submit a UK return, however you will enter £nil in the output VAT and net sales boxes. Can I recover UK Input VAT on the expenses that I incur in respect of the services that I supply to EU consumers? You might purchase a computer which you use to make all of your sales. If 60% of your sales are UK sales, and 40% of your sales are to customers in other EU member states, you would be able to recover 40% of the VAT charged on the purchase of the computer. Will I have to issue a VAT invoice to my EU customer? The vast majority of member states, including the UK, do not require VAT invoices to be issued for cross-border B2C supplies. 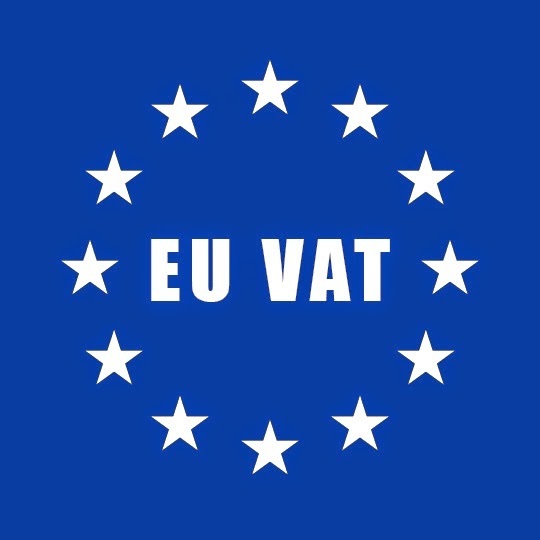 The VAT invoicing requirements for each country can be found on the European Commission’s website.